A chicken breast dinner doesn't have to be a boring dinner. Check out some our favorite easy chicken breast recipes for a new take on a classic meal. A crunchy coating from a snacktime favorite is sure to win big with the kids--especially when paired with a creamy garlic dip. Honey mustard would be good, too. It doesn't get much easier, or more satisfying: a complete dinner in one pan in half an hour. Lemon brightens this hearty chicken and potatoes dinner. This is, quite honestly, the only recipe for grilled chicken breasts you’ll ever need. 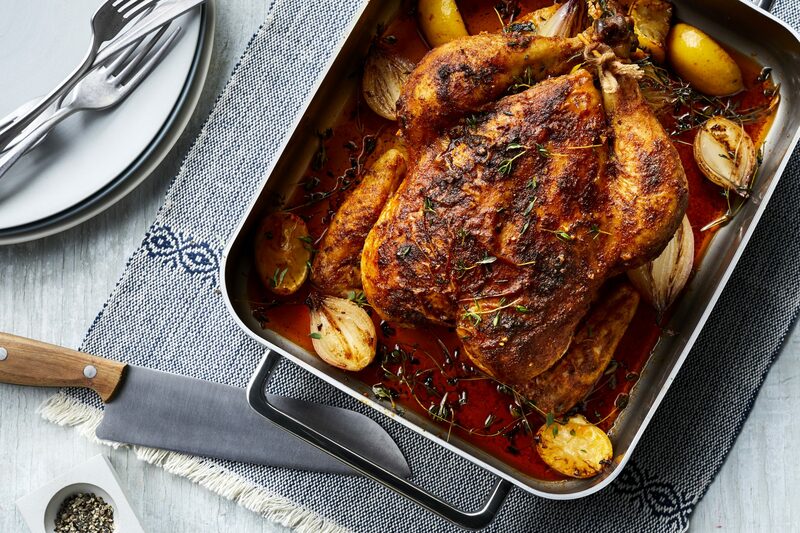 The simple combination of olive oil, lemon, and fresh herbs creates a clean, summery flavor profile that brings out the best of lean, white meat. Fresh garlic and red pepper elevate the marinade, as well as the inherent flavor of the bird. Relative to the amount of oil and liquid going in, the amount of each aromatic called for in the marinade may seem like a lot—however, this marinade is intentionally intense by design. Using a marinade this flavor-forward allows for overall less marination, which is what you want when it comes to chicken breasts. The red onions develop a nice char on the grill, but they finish cooking and develop a depth and sweetness once left to steam. Drizzle any juices from the onion mixture over the grilled chicken. Fresh cilantro and zesty lime add a refreshing brightness to this light summer meal, perfect for the whole family. For a sensitive palate, use less or omit red pepper flakes. We turn the traditional appetizer of chicken skewers and dipping sauce into a main course by spooning the satay sauce over sliced grilled chicken breasts. This dish pairs well with Cucumber, Carrot, and Orange Salad. If you need a break from chicken tenders, try this no-fuss, kid-friendly meal that will also please the adults around the table. The creamy sauce is a delicious companion to the chicken and potatoes, and it can be used as a salad dressing as well. Choose pieces of center-cut, not thick-cut bacon because they will wrap around the chicken more easily. Two spice rack staples—cinnamon and nutmeg—give this chicken a wonderful depth of flavor, and fresh tomatoes, lemons, and herbs add zest. Buy bone-in chicken breasts that are about the same size so that they cook evenly. Your favorite fast food sandwich just got a little bit better. Soaked in a tangy, pickle juice solution, the chicken is then dredged in flour and tossed in an egg mixture. After a hot pan sear, the chicken breasts acquire a crispy, crunchy outside, while maintaining a succulent, flavorful interior. Served with toasted buns and adorned with pickle chips, this sandwich will make you seriously wonder why you'd ever go back to the drive-thru. Are you ready for the best chicken enchiladas of your life? While you could use a rotisserie chicken for this cheesy enchilada recipe, poaching chicken breasts in a delicately flavored liquid both creates succulently tender meat (that won’t dry out as the casserole bakes) and adds another layer of flavor to the dish. The key to successful poaching is temperature control; you want to keep your poaching liquid from ever reaching a boil. In fact, you should aim to keep the water at a state of releasing wispy spouts of steam from the surface, but never bubbling, throughout the entirety of the cooking process. (It’s not nearly as intense/difficult as it seems.) You should also try to purchase chicken breasts that are roughly the same size so that they cook at the same rate. 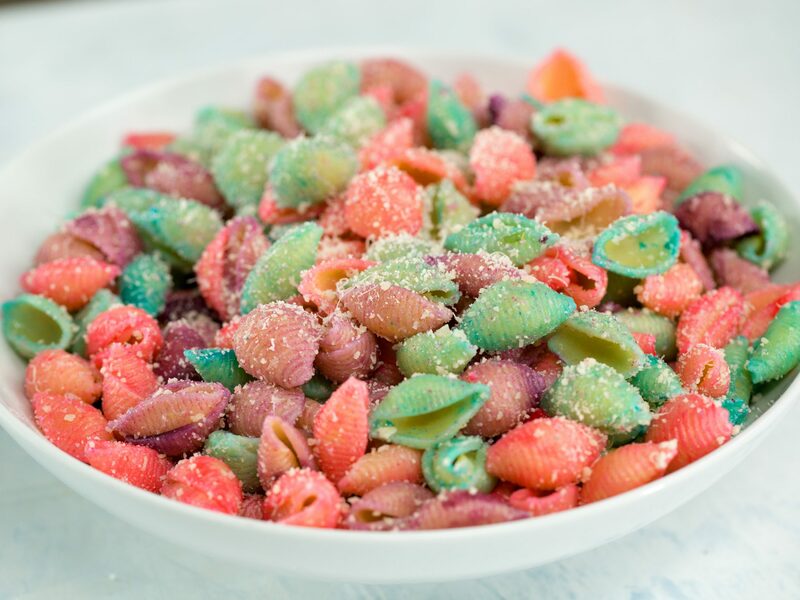 While the total prep time on this recipe isn’t exactly what you might consider “speedy,” it’s a fun dish to prepare and assemble with another helper in the kitchen. Prep a pan (or two, so you have one for the freezer!) on Sunday to enjoy heading into a new week. Featuring smoky ancho chili powder and some of the poaching liquid, the homemade enchilada sauce is another distinguishing delight of this dish; however, if you’re looking to shave time off of the recipe, you can substitute store-bought sauce. And if you opt to use rotisserie or leftover chicken as a shortcut, but still want to make your sauce from scratch, simply substitute water and/or chicken stock for the liquid called for. Sure, they may be known for steak (being a steakhouse and all), but everyone knows that Longhorn’s Parmesan Crusted Chicken is the real MVP on their menu. Enjoy this cheesy chicken dinner any night you please with our easy copycat recipe. You’ll love the bold flavors of this Mediterranean-inspired dish. Lemony chicken and artichokes are topped with a bright and tangy relish of green olives, parsley, and thyme. We love serving this dish over pearl couscous to soak up the delicious pan sauce, but you can swap it out for rice or even pasta. Five-spice powder packs some serious aromatic punch; it's all you need to season the chicken breasts here. You can sub broccoli florets or chopped kale for the green beans. There’s nothing quite as satisfying as a sheet pan supper that’s high on flavor and low on cleanup. This tangy sheet pan chicken supper gets a little kick from cayenne pepper that’s balanced in the sauce with caramelized grapes. Roasted cauliflower and carrots offer a savory touch to the dinner, while couscous makes it hearty and healthy. Since the chicken is bone-in, it takes a little longer to roast than thin filets; but the amount of flavor in the end is more than worth it! 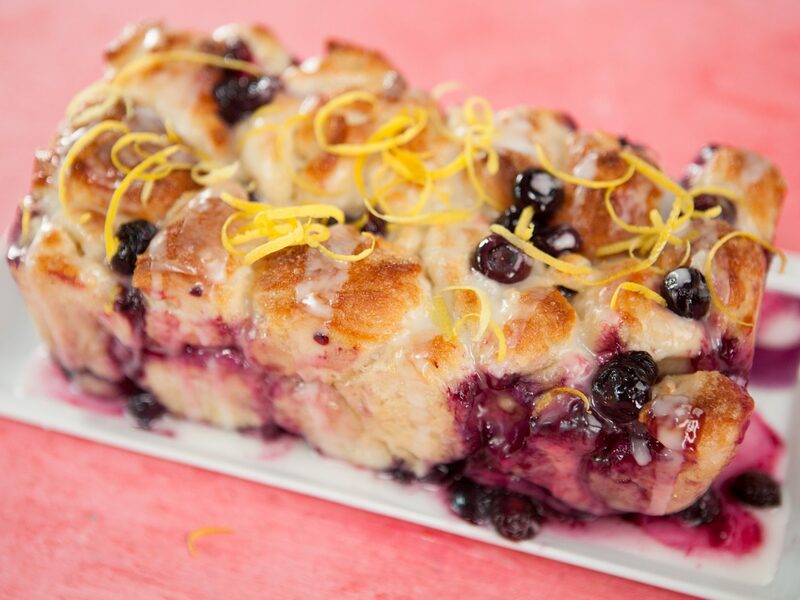 The seedless grapes are definitely the secret ingredient in this dish. They melt and caramelize while roasting, adding a subtle hint of sweetness to the sauce. The fresh flavors of the wheat berry tomato salad pair perfectly with the chipotle chicken in this dish. If preferable, you can substitute cooked farro or barley. This colorful, flavor-forward dish makes the most of peak-season produce with a sweet and tangy fruit salsa that would be equally delicious served over pork chops or with whole-grain tortilla chips. The heat from the seeded jalapeño is mild, but it can be omitted. To round out your plate, try serving the chicken and salsa over a bed of rice or with a simple side salad. The tangy-sweet flavor combination of this sauce will work equally well with chicken thighs or pork. Serve with hot cooked rice and steamed haricots verts or a tossed green salad. While pounding the chicken breast thin and searing is a French technique, the flavor profile here is decidedly Spanish. Sweet honey and toasty sesame team up for a flavor combo everyone at the table is sure to love. Serve with precooked brown rice for a quick and easy side to soak up sauce from the chicken. Add grilled chicken, spinach and a light cream sauce to linguine for an easy one-dish meal. These juicy chicken breasts are wrapped with bacon and sage—and make a mouthwatering dinner option. They're even more delicious alongside mashed potatoes and crunchy green beans. Fresh Italian herbs and seasonings make these roast chicken breasts taste out-of-this-world delicious. Serve with sauteed spinach and mashed potatoes for a hearty meal. Browned butter is the quick cook's best-kept secret: It takes less than 2 minutes to caramelize the milk solids in butter for a fragrant, nutty note in any dish. You can substitute bacon for pancetta, and cream cheese for mascarpone. Piri piri is a bright herb-and-chile sauce popular in Portugal and parts of Africa. It's traditionally red, but we go green with fresh poblano, jalapeño, and cilantro. Seed or omit the jalapeño for less heat. Fresh lemon juice, garlic, and olive oil are all that's needed to deliver big flavor to grilled chicken. Learn how to make this simple, 30-minute marinade for Lemon-Grilled Chicken Breasts--it might just become your go-to marinade and basting sauce. Sweet piquanté peppers, also called sweet cherry or Peppadew peppers, are about the size and shape of a strawberry. Look for them at the olive bar or in the pickle section. Coconut milk tames the heat and combines deliciously with shredded chicken breast in Spicy Thai Coconut Chicken Soup. This dish gets a generous sprinkling of grated Parmesan cheese, which becomes satisfyingly rich when stirred into the kale, artichoke hearts, and baked chicken. We found that smaller chicken breasts (about 5 ounces each) will cook more easily in the time frame. Trim larger breasts and use the remaining chicken for tomorrow’s soup or stir-fry. Avoid thin cutlets here; the thickness of the breasts will keep them juicy as they roast. 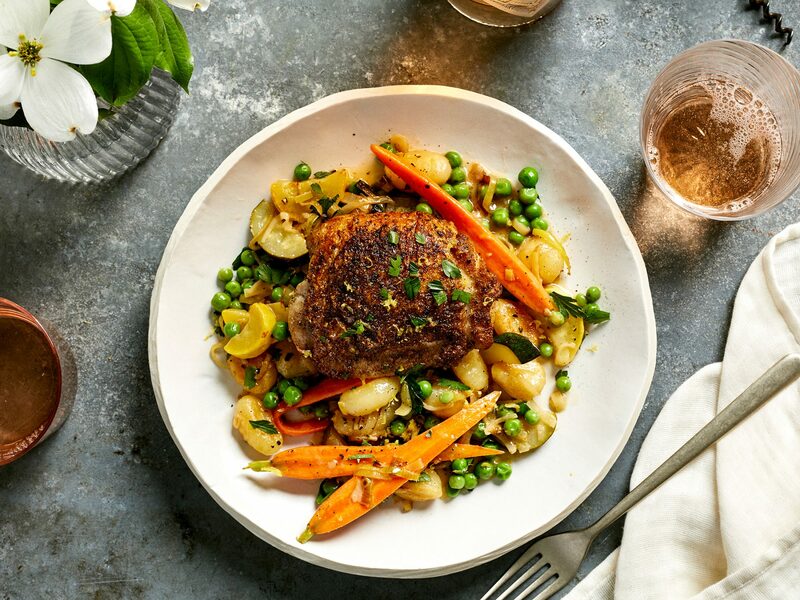 Chicken cutlets get great flavor from a lemon-rosemary marinade while the leeks cook into a silky, caramelized vegetable side dish. If you’ve never enjoyed the darker green leek tops, give them a try in this recipe. The chicken marinade does double-duty here: it seasons the chicken while the leeks cook and then becomes a light sauce for the whole meal. If you can’t find chicken cutlets, you can make your own: For 4 cutlets, cut two 8-ounce boneless, skinless chicken breast in half horizontally and lightly pound into an even thickness with the smooth side of a meat mallet. We give the large bone-in breasts a head start in the oven so they will be perfectly cooked by the time the vegetables are done. This cut is also rather juicy; you'll want to drain the liquid from the pan before adding the vegetables so they can caramelize evenly. If you're looking for an easy Mexican main dish recipe, try these creamy chicken enchiladas. Eight ingredients and a few minutes of prep time are all you need to get these enchiladas baking away in the oven. Wild rice is wonderfully fragrant; it’s the perfect counter to the creamy, earthy mushroom mixture and has enough texture that the grains won’t bloat or fall apart in the casserole. Simmer 11/2 cups rice in 6 cups water for 45 minutes and drain. You can also use 1 (13-ounce) package frozen cooked wild rice, such as Engine 2, which is sold at Whole Foods. Cook the mushroom mixture on the stove while the chicken finishes in the oven (use the same casserole dishes to avoid extra clean up). Serve with simply sautéed green beans or a mixed greens salad. 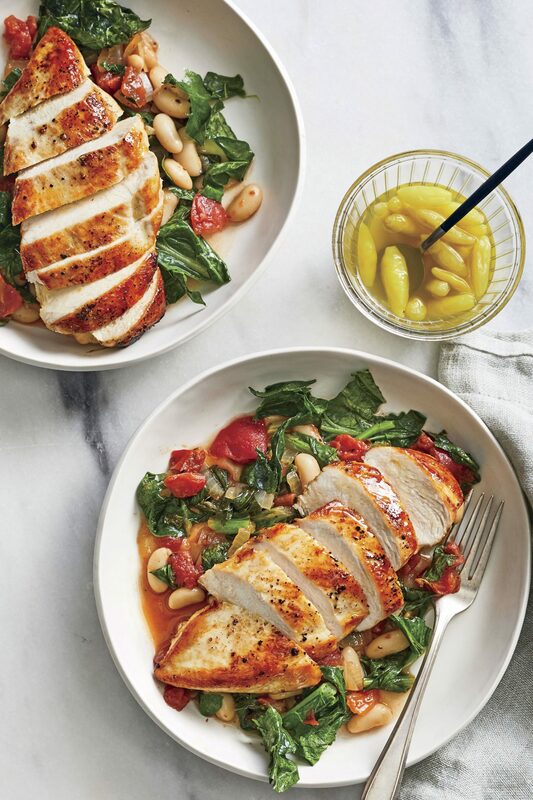 Lean chicken breasts cook quickly--in just 15 minutes compared to the hour-long braise in most cacciatore recipes. If you'd like more heat in the sauce, kick up the crushed red pepper to 1/2 teaspoon. A briny, flavorful marinade tenderizes and moistens the chicken and also serves as a dressing for the olive-tomato topping. Serve with sliced grilled potatoes if you like. Here, pesto acts as a binder, helping the crispy panko topping stick to the chicken. Serve with green beans tossed with lemon rind. Garnish with any extra basil you have on hand. You’ll be delighted by the incredible results from this one-pot wonder: tender bulgur, creamy feta, and moist chicken. You don’t even need a sauce since there’s so much flavor in the pan. It’s a complete meal, though you could serve with a side salad if you’d like. Though you can swap dried oregano for fresh if you don’t have fresh on hand, we strongly urge you to stick with the fresh dill flourish at the end; it adds a burst of herbal goodness that you just won’t get from dried. If you don’t have a 10-inch cast-iron skillet, you can use any other medium-sized ovenproof skillet. The bright, bracing tartness of fresh lemon and briny hit from capers makes this Italian dish a beloved classic. Garlic takes a starring role in this version: Slices infuse the oil for searing the chicken and become a golden, crispy garnish. We save time by opting for chicken cutlets (no need slice or flatten larger breasts) and angel hair pasta (even whole-grain noodles cook in less time than standard spaghetti). 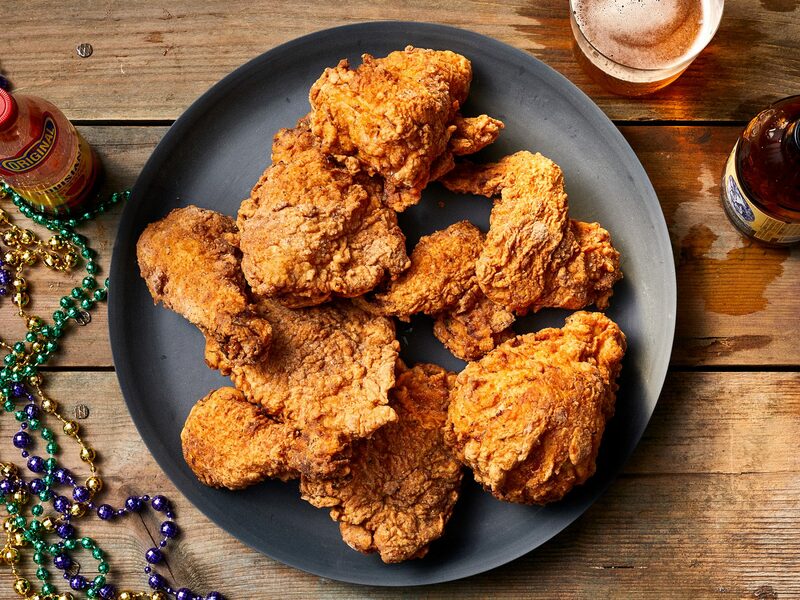 The flour coating gives the chicken a gorgeous golden crust. For a gluten-free dish, use any gluten-free flour and swap the pasta for rice. The tiniest bit of sugar helps the avocado halves char in the pan, adding robust toasty flavor. Let this dish stand a few minutes after baking so the rice will absorb the liquid, yielding a creamy texture. The slow cooker does all the work in this comforting rice porridge, breaking down the rice with fragrant ginger and star anise and poaching the chicken until silky. A bit of chili oil is the vibrant kick this dish needs. You can also use Sriracha or a squeeze of fresh lime juice. Cilantro or baby spinach leaves can work in place of the watercress. This simple dinner of chicken and brussels sprouts topped with a zesty mustard sauce will quickly become one of your go-to meals for busy weeknights.